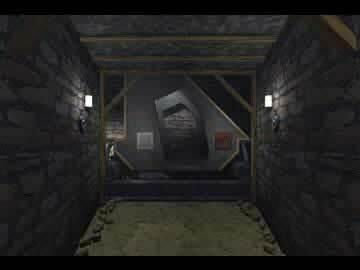 RHEM 3 Game Review - Download and Play Free Version! Old-style adventure game that is truly challenging. Uninspiring music, sound effects, and voice acting. Mini-games mostly guess and check. You are thrown into a strange world with nothing but the mission to find some important artifacts. It's up to you to explore the complex world, solve the mysteries and uncover the secrets. 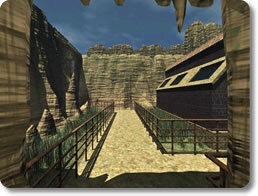 Myst fans will love this game because it's packed with similar puzzles in a similar world. Navigating is also similar to Myst, but this game brings new life into the genre with many puzzles to solve and mysteries to discover. If you haven't played the previous RHEM games you can still enjoy this one because it doesn't draw on discoveries in the previous games. In this point-and-click adventure game, a lot of trial and error will go into solving puzzles. 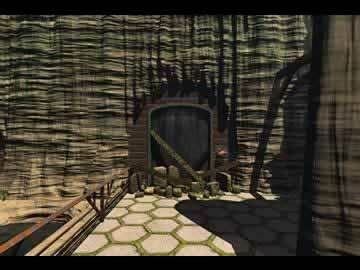 You can collect items in your inventory and use them as you explore the strange world by moving from scene to scene like in Myst. Puzzles include opening doors, turning on the power and more. There are very few other characters to interact with, so gamers who love endless exploring without distractions will enjoy this game. It's necessary to explore every nook and cranny of the world because clues could be hidden on the back of a door or scratched obscurely into the wall, so you'll have plenty to do for hours and hours! The puzzles in this game require logic and patience but they are not impossible to solve. You'll learn to focus on the important facts and exercise your memory as you try to remember where you saw those markings once before. This game provides countless hours of fun brain work as well as an interesting world packed with rewarding puzzles to solve. Enter the challenging adventure now in RHEM 3! Exploring Rhem 3 is more of a snooze than an adventure. Your quest begins on a rather slow moving train bound for The Secret Library and after chatting with the dull coordinator via video telephone, its off to uncover artifacts, your only mission. Upon arriving, the lack of color or complexity of the library ruins will leave you disinterested in progressing further. Delving deeper into the complex reveals little more interesting features and a series of locked doors and complex puzzles will frustrate the average user, leaving little desire to continue onward. Furthermore, background music is a series of ominous tones that adds little to the game, sound effects are limited and annoying, and voice acting is sub par at best. The very limited number of characters speak too slowly and have little to say, matching the rather dull theme the game seems to take. Perhaps the only redeemable quality is the level of difficulty which is most certainly above average. Like adventure games of old, there are no hint features or obvious paths to take which makes Rhem 3 incredibly attractive to the die-hard gamer. On that note, mini-games require little obvious intellect and are primarily based on a guess-and-check strategy, such as clicking flickering lights in the proper succession or deducing which series of numbers will unlock a set of doors. To the advanced player this is a real treat as it will assuredly be a time-consuming task to maneuver through such intricacies. However, casual players will be extremely turned off by the seemingly impossible task of solving a riddle that involves no logical pattern or clues. Die hard adventure fanatics will likely be able to look past the overarching boredom this game is liable to produce as the challenge will be too enthralling. All other players are strictly advised to steer clear of The Secret Library as its dull graphics, bothersome sound effects, and overall difficulty are so intrusive its unlikely you will progress very far beyond the opening scene.